洪慶宜, 曾妍娟, 莊惠惇, 黃勇中, '二仁溪為主體的校本課程發展策略：以現代公民核心能力養成計畫課群教學為例,' 通識學刊：理念與實務, Vol. 4, No.1, Dec. 2015, pp.1-36. Tseng Y-C, Lai D-C, Guo H-R. ,'Effects of mothers’ language and culture backgrounds on developmental delays: A nationwide study on children born to immigrant mothers in Taiwan', the 2018 Joint Annual Meeting of the International Society for Exposure Science and the International Society for Environmental Epidemiology , Aug. 2018 ,Ottawa. Tseng Y-C, Su S-B, Guo H-R ,'Health education and health promotion for workers in the workplaces in Taiwan', the International Conference on Productivity and Sustainability in Economics, Business and Management 2017 , Dec. 2017 , Bali. Tseng Y-C, Lai D-C, Guo H-R.. Presented at . ,' Relation of mother’s language and culture backgrounds to developmental delays in young children', the 2017 ISEE Conference , Sep. 2017 ,Sydney. Lan F-Y, Tseng Y-C, Guo H-R. ,'Health conditions of tour managers leading international tours to different geographic areas', the 7th International Conference on Medical Geology , Aug. 2017 ,Moscow. Guo H-R, Tseng Y-C, Lai D-C. ,'Relation of mother’s language and culture backgrounds to developmental delays in young children', the Osaka 12th International Conference on Medical, Medicine and Health Sciences , Jan. 2017 , Osaka. Tseng, Yen-Cheng ,'Enhancing English of tourism/hospitality students. ', the 42st Annual International Conference on Language Teaching and Learning & Educational Materials Exhibition, Nagoya, Japan. , Nov. 2016 ,. Prophete F, Y-C Tseng, Guo H-R. ,'Academic journals’ policies on English writing', the 42st Annual International Conference on Language Teaching and Learning & Educational Materials Exhibition, Nagoya, Japan. , Nov. 2016 ,. 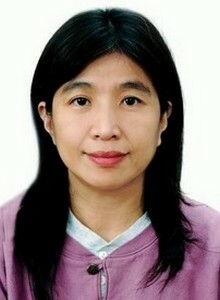 Wang S-Y, ChengY-Y, Yang S-W, Tseng Y-C, Guo H-R.. ,'Maternal air pollution and autism spectrum disorders in children. (Highlighted Poster)', the 2016 International Society for Environmental Epidemiology Conference, Rome, Italy, , Sep. 2016 ,Rome, Italy. Tseng Y-C, Horng C-Y, Chuang H-T, Huang Y-J. ,'An environmental protection oriented curriculum in university setting', The Institute for Public Policy and Economic Analysis 2016 International Conference, New York, USA. , Aug. 2016 ,. Tseng Y-C, Lin C-Y, Guo H-R. ,'Effects of hearing screening and rubella vaccination on the prevalence of childhood hearing impairment in Taiwan. ', The Institute for Public Policy and Economic Analysis 2016 International Conference, New York, USA. , Aug. 2016 ,USA/ New York. Tseng Y-C, Lai D-C, Guo H-R ,' Gender difference in speech & language disability', the 41st Annual International Conference on Language Teaching and Learning & Educational Materials Exhibition, Shizuoka, Japan , Nov. 2015 ,Shizuoka. Tseng Y-C, Lai D-C, Guo H-R ,'Urbanization and childhood speech and language disability in Taiwan', the 6th International Conference on Medical Geology , Jul. 2015 ,Aveiro. Lan F-Y, Tseng Y-C, Guo H-R. ,'Self-reported health of tour managers in Taiwan', the 31st International Congress on Occupational Health , May. 2015 ,Seoul, Korea. Tseng Y-C, Lai D-C, Guo H-R. ,'Geographic and gender differences in the prevalence of childhood speech and language impairment in Taiwan', the 26th annual International Society for Environmental Epidemiology , Aug. 2014 ,Seattle, USA. Tseng Y-C, Guo H-R. ,'Construct a corpus for presenting medical research ', the 40th Annual International Conference on Language Teaching and Learning & Educational Materials Exhibition , Nov. 2014 ,Tsukuba, Japan. Lai D. C. , Tseng Y. C., Lin C.Y., Guo H. R. ,'Gender and Geographic Differences in the Prevalence of Childhood Hearing Impairment: Analysis of Data from the National Disability Registry Data of Taiwan, 2004-2010', ISEE (International Society of Environmental Epidemiology , Aug. 2013 ,Basel, Swizerland . Tseng Y-C, Guo H-R. ,' Create an English-Chinese dictionary of epidemiology', the 39th Annual International Conference on Language Teaching and Learning & Educational Materials Exhibition , Oct. 2013 ,Kobe, Japan. Tseng Y-C, Guo H-R ,' Effects of time gap on English learning of students in Taiwan', the 39th Annual International Conference on Language Teaching and Learning & Educational Materials Exhibition , Oct. 2013 ,Kobe, Japan. Lai D-C, Tseng Y-C, Hou Y-M, Guo H-R. ,'Gender and geographic differences in the prevalence of intellectual disability in children: Analysis of the national registry data of Taiwan. ', the 23rd Conference of International Society for Environmental Epidemiology , Aug. 2012 ,Columbia, South Carolina, USA. Tseng Y-C & Guo H-R. ,'Teaching medical professionals writing in distance', The 38th Annual International Conference on Language Teaching and Learning & Educational Materials Exhibition , Oct. 2012 ,Hamamatsu, Japan. Tseng Y. C. ,'The use of prompt in writing of EFL learners', The 38th Annual International Conference on Language Teaching and Learning & Educational Materials Exhibition, , Oct. 2012 ,Hamamatsu, Japan. Tseng Y-C & Guo H-R. ,'Teaching academic writing to medical professionals using computer communication media', The 2012 International Symposium on Information Technology in Medicine and Education , Jan. 2012 ,Hokkaido, Japan. Tseng Y-C, Lai D-C, Hou Y-M, Guo H-R ,'Geographic and gender differences in autism spectrum disorders among children: analysis of the data from the national registry in Taiwan', The 23rd Conference of International Society for Environmental Epidemiology , Sep. 2011 ,Barcelona, Span. Li M-Y, Chen P-C, Tseng Y-C ,'EFL in international business communication: Diverse perspectives from a faculty profession development community', The Fourth International Conference of English as a Lingua Franca (ELF4) , May. 2011 ,Hong Kong. Tseng Y-C, Guo H-R ,'Accidents associated with education or research among university students', The 2010 Joint Conference of International Society of Exposure Science & International Society for Environmental Epidemiology , Aug. 2010 , Epidemiology 22:S272, 2010 ,Seoul, Korea. Yen-Cheng Tseng ,'Methods of studying L1 transfer to L2 writing', JALT (Japanese Association of Language Teaching) , Nov. 2010 ,日本名古屋. Tseng Y-C, Chung Y-L, Hwang B-F, Liaw Y-P, Sheen J-H, Liu W-H, Guo H-R ,'Dose-response relationship between arsenic in drinking and mortality of urinary cancers in Taiwan', The Society for Environmental Geochemistry and Health SEGH-ISEE 2009 Conference , Aug. 2009 ,Dublin, Ireland. Guo H-R, Tseng Y-C, Wu C-L. ,'The execution and management of periodical health examinations for workers in Taiwan', The 29th International Congress on Occupational Health , Mar. 2009 , Cape Town, South Africa ,. Tseng Y-C, Wei M-C, Chien T-W, Guo H-R, Su S-B ,'The roles of nurses of the on-site healthcare units in health education and promotion activities in the workplace in Taiwan', The 28th International Congress on Occupational Health , Jun. 2008 ,Milano, Italy. Tseng Y-C, Tseng H-C, Guo H-R ,'Exposure to chemical hazards associated with education or research among college students in Taiwan', The 2nd East Asia Conference of the International Society for Environmental Epidemiology , Apr. 2008 ,Jeju, Korea. Tseng Y-C, Su S-B, Guo H-R ,'Workplace health education and health promotion of workers in Taiwan', The 2007 International Society for Environmental Epidemiology , Sep. 2007 , Epidemiology 18:S164, 2007 ,Mexico City, Mexico. Tseng Y-C, Su S-B, Guo H-R ,'Health condition and behaviours of nurses working in the on-site healthcare unit in Taiwan: a follow-up study', The International Conference on Environmental Epidemiology & Exposure , Jan. 2006 , Epidemiology 17:S519, 2006 ,Paris, France. Tseng Y-C, T-W Chien, Guo H-R, Su S-B ,'Health condition and health behaviors of nurses in on-site health-care units in Taiwan', The 2005 International Society for Environmental Epidemiology , Sep. 2005 ,Johannesburg, South Africa. Tseng Y-C, Chien T-W, Su S-B , Guo H-R ,'The health status of occupational nurses working in on-site health-care units in Taiwan: A preliminary report', The 18th Asian Conference for Occupational Health , May. 2005 ,Wellington, New Zealand. Tseng Y-C, Guo H-R ,'Create an English-Chinese dictionary of epidemiology', 2013 International Conference on English for Specific Purposes , Nov. 2013 ,Taichung, Taiwan. Yen-Cheng Tseng & Ed Lithgow ,'The Use of Prompts in Writing of Learners of English as a Foreign Language', 臺南大學「2012英語文教學」研討會 , Oct. 2012 ,台南，台灣. Tseng H-C, Tseng Y-C, Guo H-R ,'Accidents associated with education or research activities in university students', The First International Conference on Safety and Health of Campus , Oct. 2011 ,Taipei, Taiwan. 曾妍娟(Tseng Y-C) ,'A review of the study methods of the first language transfer to second language writing and their results', 2010 NUTN Conference on Innovative Approaches to the Teaching , Nov. 2010 ,台南大學. 曾妍娟，陳怡學 ,'全民英檢網路教學模式之探討', 長榮大學網路與外語教學研討會 , Jun. 2005 ,Tainan, Taiwan. Tseng Y-C, Hsu, B-C, Wei M-C, Chien T-W, Guo H-R, Su S-B ,'Health education and promotion activities organized by on-site health-care units in the workplace in Taiwan', The 37th Asia-Pacific Academic Consortium for Public Health Conference , Nov. 2005 ,Taipei, Taiwan.